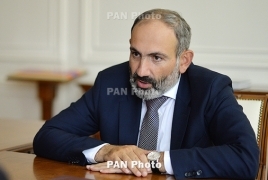 PanARMENIAN.Net - Prime Minister Nikol Pashinyan revealed on Saturday, February 9 that Armenia has seen record-breaking progress in the World Economic Forum’s market monopolization sub-index. The country has improved its standing by 9 notches to land the 19th this year, Pashinyan said in a Facebook post. “This means that the international community recognizes that we have achieved serious progress in our fight against monopolies in 2018,” he maintains.